The first yearlings by Brazen Beau certainly proved popular with buyers this year and the outstanding sprinter cemented his position as number one in the first-season sire ranks with a yearling average of over A$155,000. This was no mean feat, with yearlings by no fewer than 41 first-season sires on offer at the sales. Brazen Beau retired to stud with two G1 wins on home soil and a very close second in the G1 Diamond Jubilee Stakes at Royal Ascot, ensuring he was well supported by breeders when he joined the Australian stallion ranks in 2015. Brazen Beau enjoyed early success when recording a sales-topping price at the 2018 Inglis Classic Sale in February, with his son out of Stakes-winning mare Written Dash selling for A$480,000 to the winning bid of Hong Kong Bloodstock Agent Justin Bahen on behalf of Orbis Bloodstock. “I thought he was the best colt on the ground,” Bahen said. The son of I Am Invincible was named leading first-season sire by average at the sale, recording A$193,750 - well ahead of his nearest rivals. Brazen Beau’s success continued into April’s Inglis Easter Sale where he set a new benchmark of A$700,000, given by McEvoy Mitchell Racing on behalf of prominent Queensland owners Linda and Graham Huddy for a cracking filly (pictured below) out of the Group-placed Encosta de Lago mare Pretty Penny, already dam of three Black Type winners including G2 winner and multiple G1-placed Sertorius. Godolphin purchased his highest-priced colt of the sale when going to A$400,000 to secure Amarina Farm’s son of Stakes-winning juvenile Veuvelicious, who hails from the family of the great racemare Go For Wand. His average of just over A$350,000 was once again enough to see him crowned leading first-season sire at the sale (for three or more sold), with clear daylight between him and the second-placed sire. 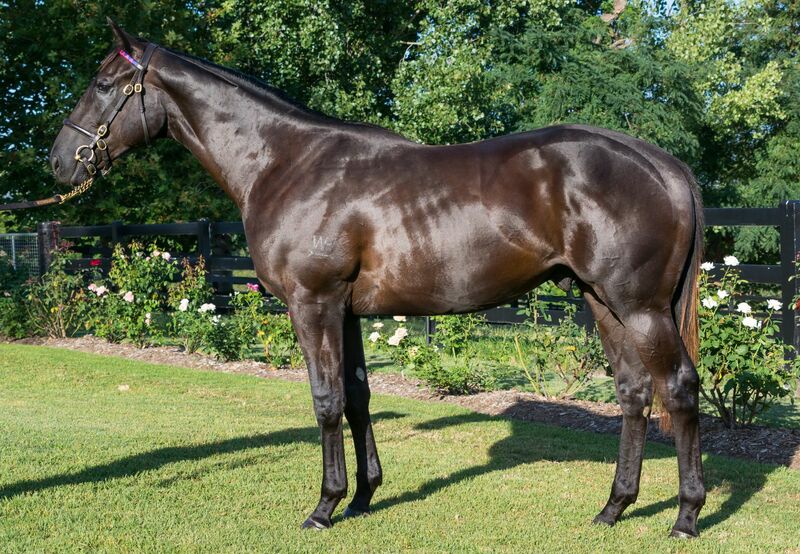 Later this year, Brazen Beau moves to the next stage of his stud career as these yearlings turn two and should they prove as successful on the track as they have in the ring, there are exciting times ahead for this talented young stallion. Brazen Beau will stand at Northwood Park in Victoria at a fee of A$38,500 inc GST.